Day: Saturday, March 31, 2018 NOTE: this event has already happened, find current-year events on the events page. The Cities of Oldsmar and Dunedin are putting together a green street festival Saturday March 31st, from 10am-2pm. 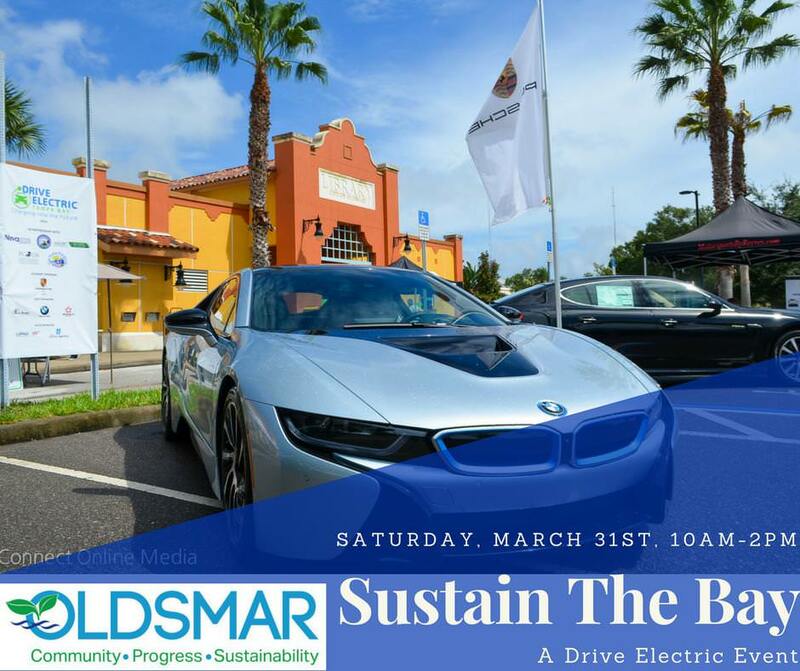 The events will be located adjacent to Oldsmar City Hall and the LEED certified Historic Oldsmar Bank, surrounded by beautiful green space, a perfect backdrop to this sustainability-geared event. Sustain The Bay: A Drive Electric Event will host dozens of Tampa Bay area sustainable businesses, non-profits, and educational organizations, provide fun and interactive educational exhibits, and will feature an electric vehicle showcase. You can also RSVP to the Facebook event and stay up-to-date with information related to the event! Registered attendees report 425,200 electric miles driven.